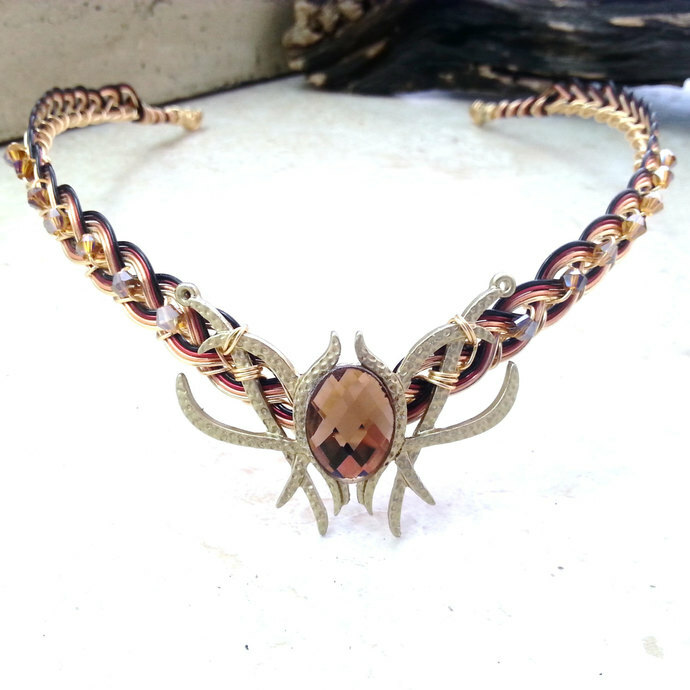 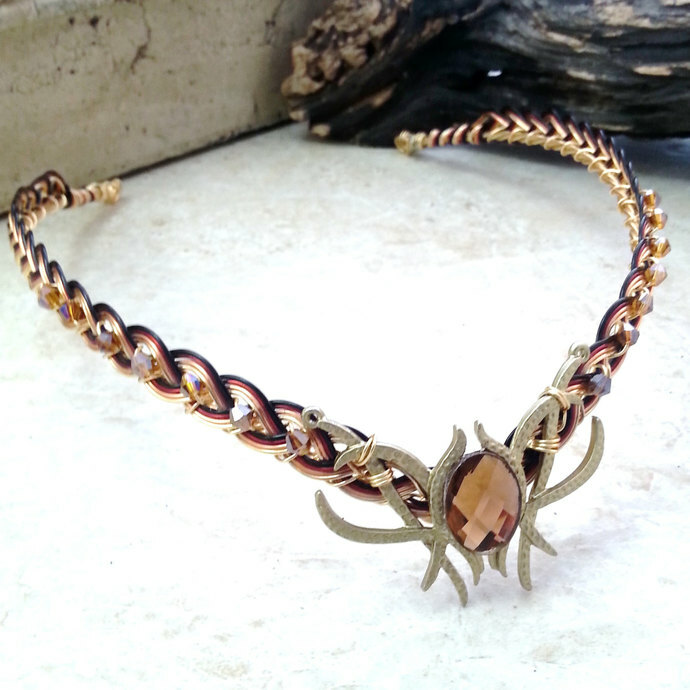 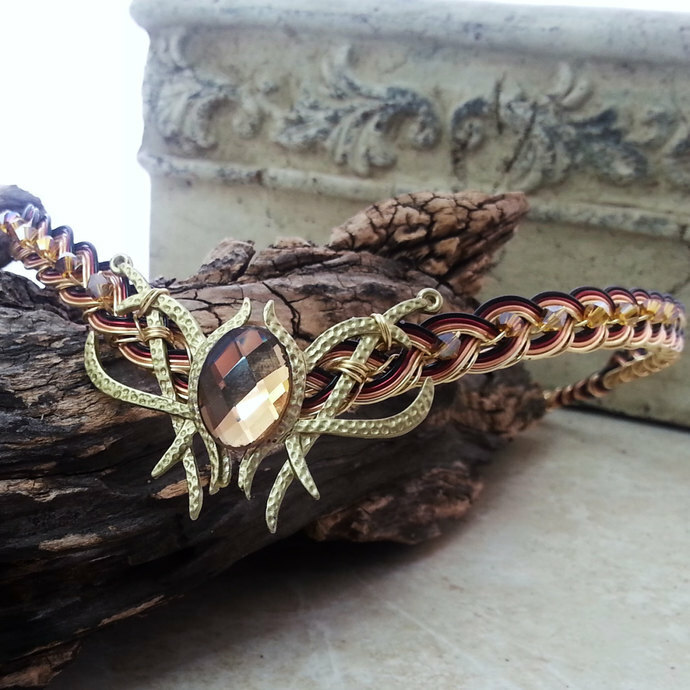 A magical amber brown "champagne" colored gem focal is the centerpiece of this stunning circlet, with a Celtic weave base in ombre shades of brown red and gold sparkled up with crystals. 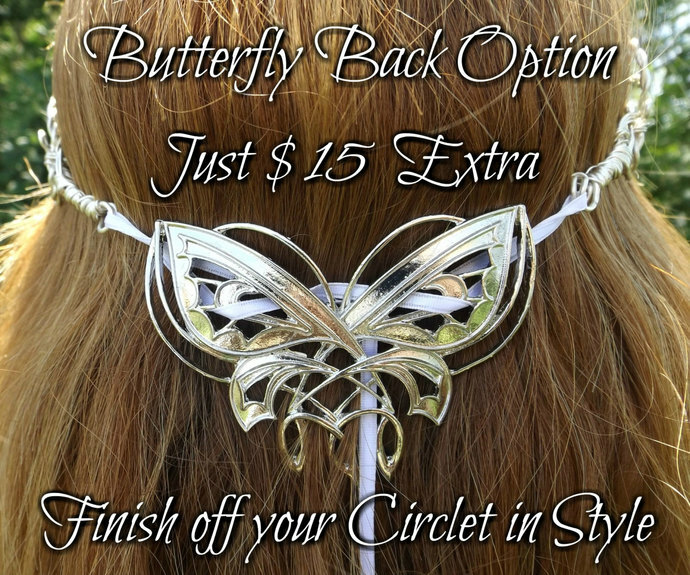 NOTE: Butterfly will be in gold and is a MATTE gold to match the front focal. 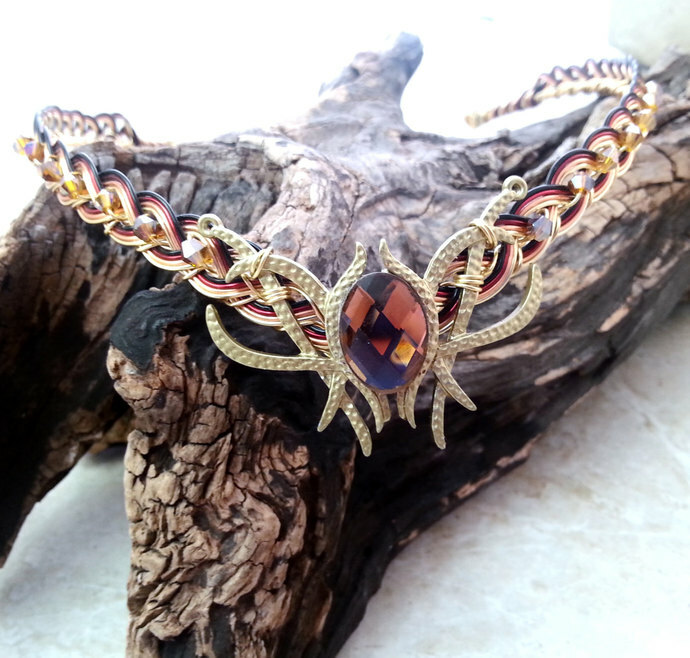 I have other gem colors available in my shop, and others that have not been listed yet- if you would like a different color theme feel free to click "request custom order" and let me know what you are thinking of:-).